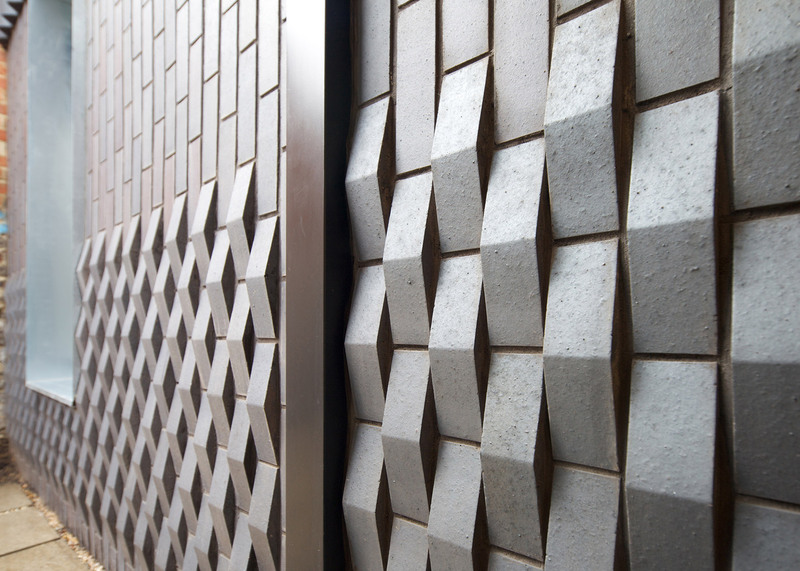 Angled bricks create three-dimensional zigzags across the walls of this London house, which architects office Dallas Pierce Quintero built on a tiny infill plot in east London (+ slideshow). 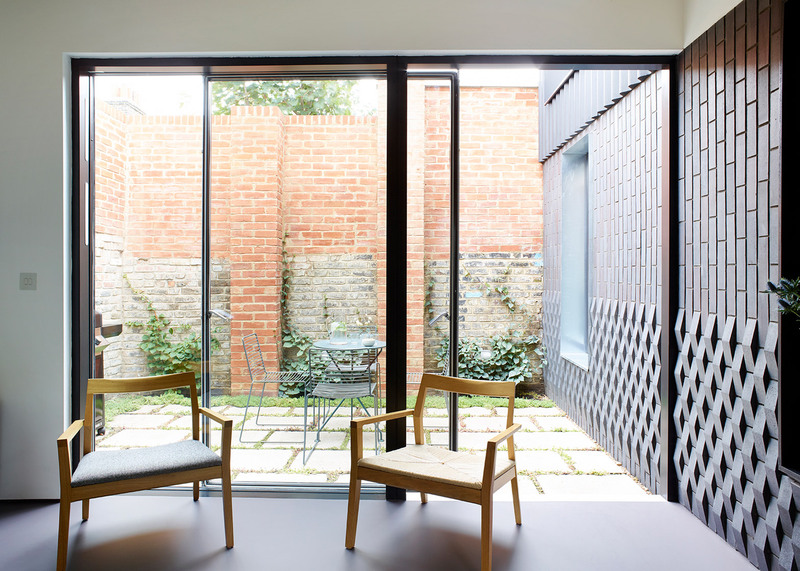 Named Courtyard House, the 95-square-metre home occupies an L-shaped site that was once the garden of its neighbour, but at some stage had been partitioned off to function as a builder's yard. 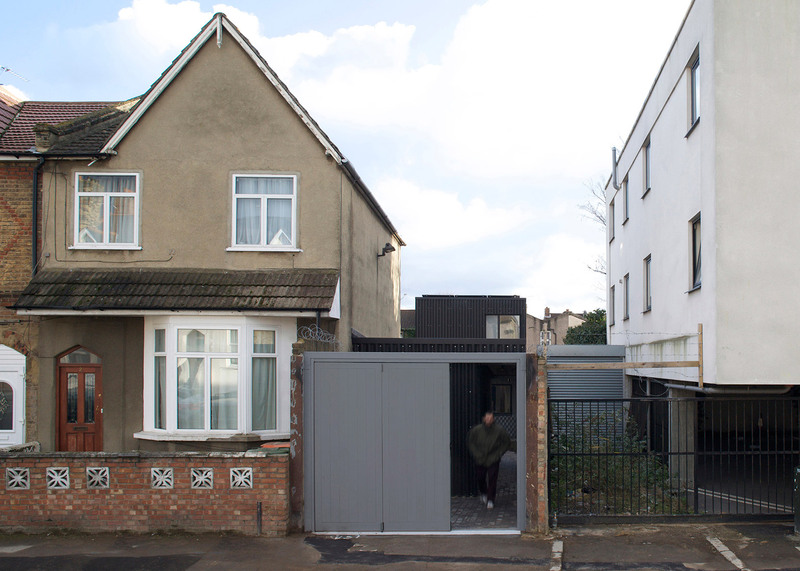 Hackney-based Dallas Pierce Quintero was asked to create a two-bedroom house on the site without impacting the neighbouring properties, which include both two-storey houses and a three-storey-high slab block. 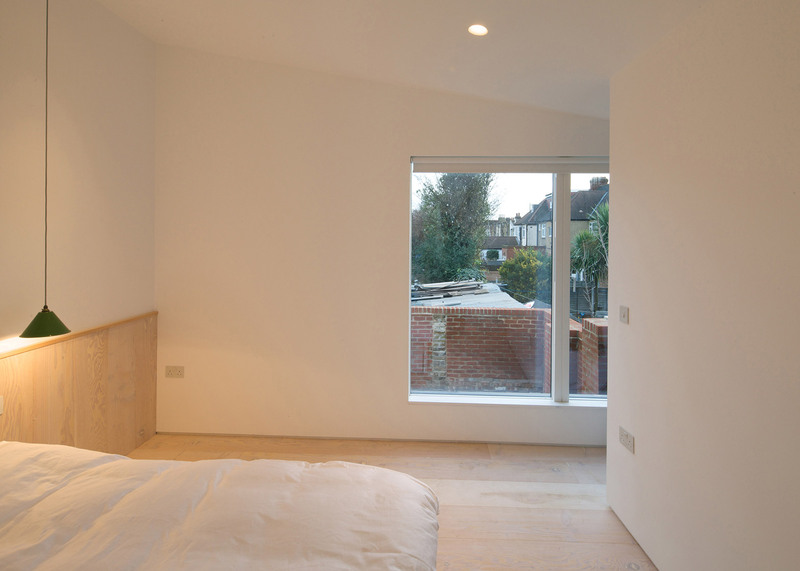 "The challenge was to create a private house without a sense of overlooking, whilst protecting the daylight enjoyed by neighbours," explained the studio, which is made up of young architects Jonathan Dallas, David Pierce and Juliet Quintero. Their response was to design a compact residence and arrange it around a series of courtyards, ensuring plenty of light is able to permeate the interior. 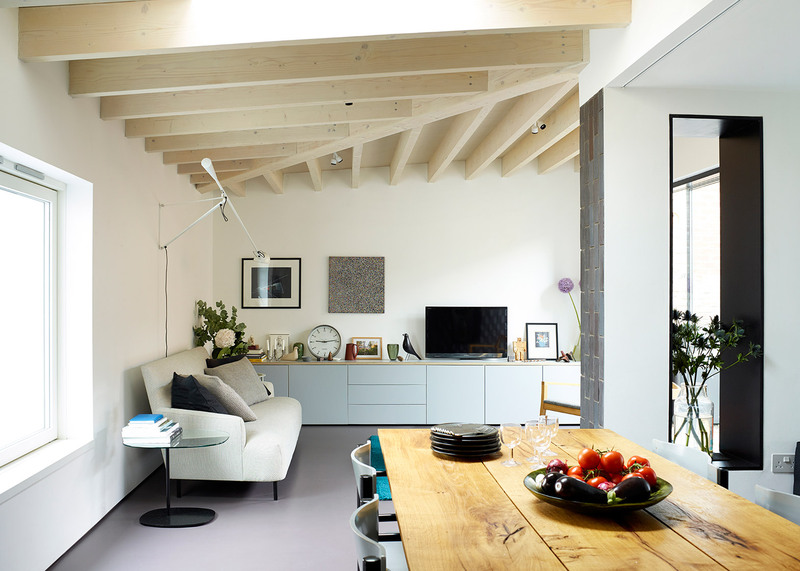 The ground floor is kept largely open plan to provide a feeling of spaciousness. It frames four courtyards that each suit different purposes, whether for dining outdoors or growing plants. "Four distinct courtyards provide the main source of daylight and open up sight lines through the property, creating functional outdoor spaces for walking through, dwelling in and looking into," explained the architects. To help unite indoor and outdoor spaces, the building's exterior cladding extends into the living spaces. This material – a dark almost-blue brick – forms vertical rather than horizontal stripes, creating an obvious contrast from standard brickwork. Below waist height, sawtooth bricks were used to "soften the appearance". These form the three-dimensional zigzags, which create the impression of a chequerboard as they catch the light. Inside, the layout is designed to be as flexible as possible, but to also avoid feeling cramped. 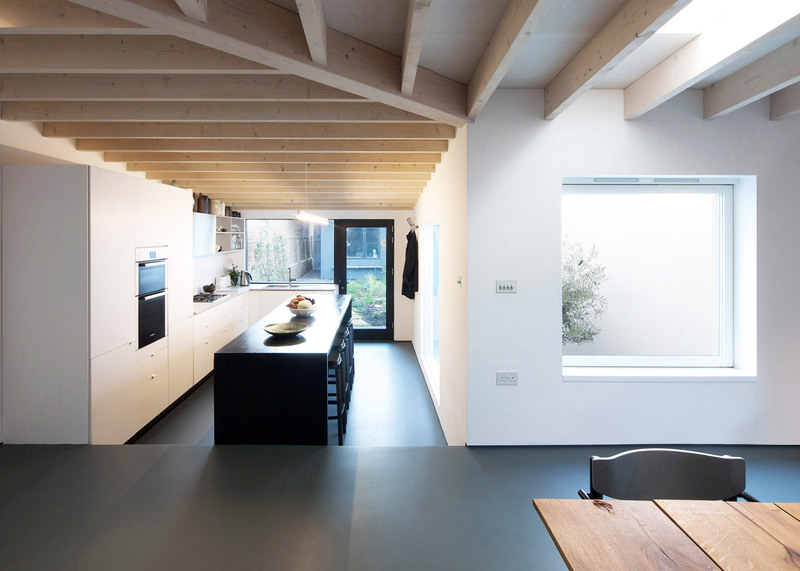 The L-shaped ground floor creates a natural division between the kitchen, the dining area and the living space, emphasised by a two-step change in level about halfway along. But part of the dining space can also be partitioned off with a curtain to provide residents with a ground-floor bedroom for guests. The upstairs floor contains enough room for a master bedroom, but not much else. By keeping it small, the architects were able to almost entirely avoid overshadowing the neighbours. A small study was also created as part of the project, and this is sandwiched between two courtyards at the front of the site. To keep to a tight budget, timber was chosen to provide the building's structure, which was prefabricated before being transported to the site. Much of this structure is left exposed, adding both texture and warmth to the interior. 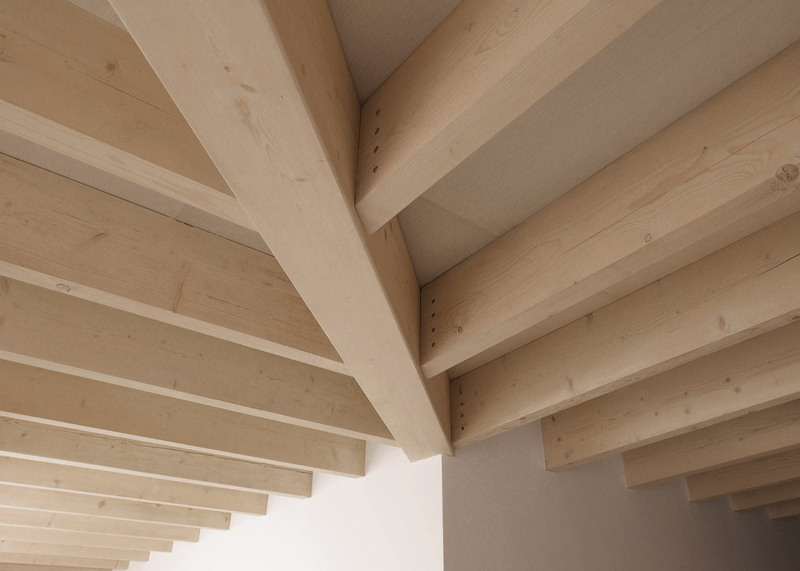 "The ceiling joists are exposed in the living areas to maximise height and add richness, changing direction as the plan kinks," explained the architects. 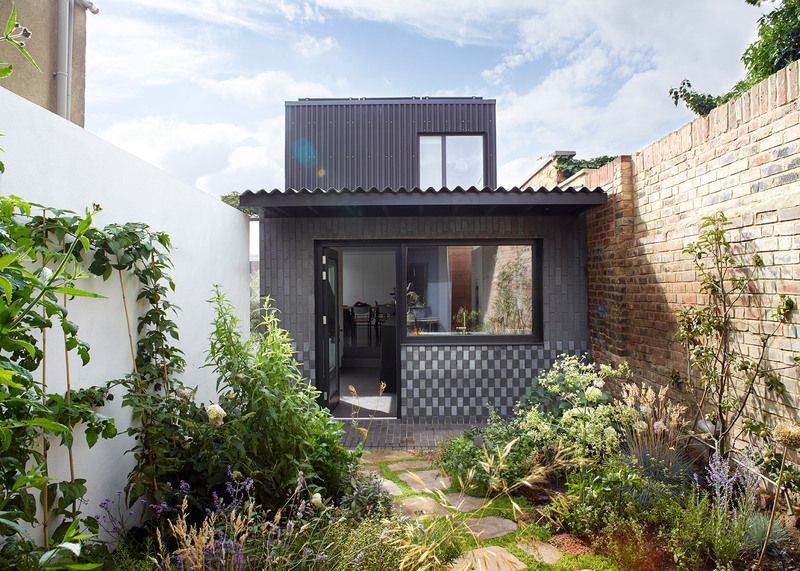 Other materials chosen include black corrugated fibre-cement, which clads the outer walls of the upper storey. Sheets are arranged vertically, continuing the stripes of the brickwork below. "Remnants of these materials were discovered on our first visit to the original builder's yard," added the team. 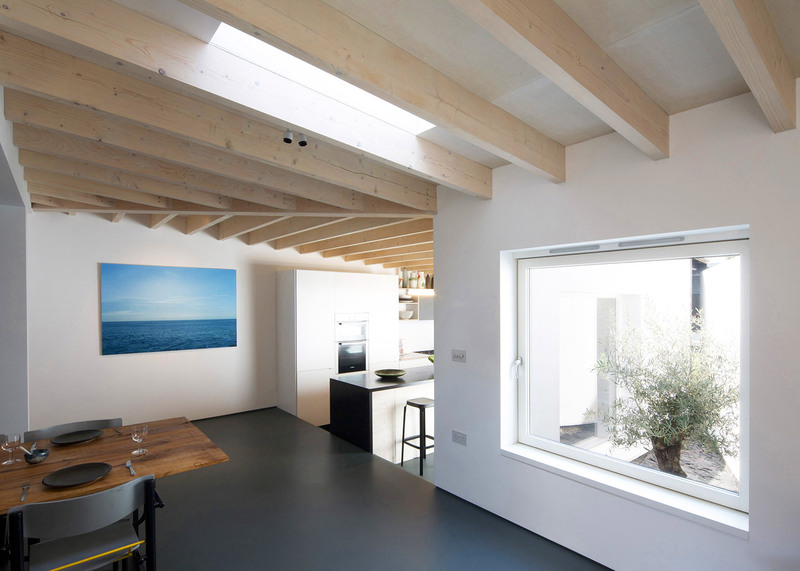 Courtyard House was one of 20 houses longlisted for the RIBA House of the Year 2015 prize. A home clad with flint was the overall winner of the prize, while others in the running included a residence in a repurposed stone mill and a monochrome property inspired by agricultural barns. Photography is by Tom Gildon, unless stated otherwise.